Clarinetist and bass clarinetist Michael J. Maccaferri is a member of the Grammy Award winning new music ensemble eighth blackbird, one of the leading commissioners and performers of new music today. The group’s work has been recognized with numerous awards and prizes and has premiered works by today’s leading composers. With eighth blackbird Michael Maccaferri has performed as soloist with leading orchestras and at major venues around the world. Here, he performs a wide variety of new works for solo clarinet, with and without electronics. Roomful of Teeth is a vibrant, unique vocal octet dedicated to re-imagining singing in the 21st century. Through study with vocal masters from non-classical traditions the world over, the members of Roomful of Teeth continually expand their vocabulary of singing techniques and, through an on-going commissioning project, invite today’s brightest composers to create a repertoire without borders. Roomful of Teeth has commissioned works by several of today’s leading composers, including Caroline Shaw, whose work Partita for 8 Voices was awarded the 2013 Pulitzer Prize for music. This performance is the culmination of a three-day residency at Lawrence. Trombonist/composer Alan Ferber is one of the freshest contemporary voices in jazz composition. He stands among the world’s finest improvising soloists on the trombone, and serves as a jazz faculty member at New York University, Peabody Institute of The Johns Hopkins University, and Montclair State University. 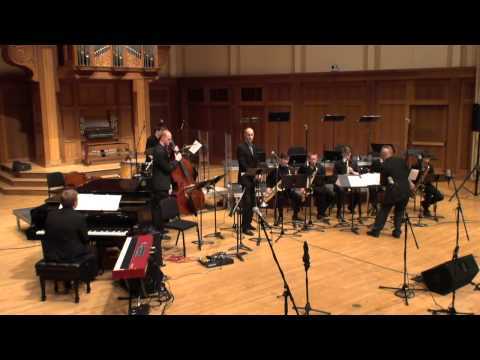 In this performance, Alan Ferber appears as guest soloist/composer with the Lawrence University Jazz Ensemble, Lawrence Jazz Faculty Quartet, and student jazz small groups. As a part of his two-day visit, Alan Ferber will also present master classes in trombone and jazz composition/arranging.